*After Lil Mo took to Instagram Thursday afternoon to reveal that she had been fired from her radio job on Washington D.C.’s WKYS, folks began wondering if it was due to her passionate defense of Chrisette Michele’s decision to perform at a Donald Trump Inauguration party, and her criticism of Spike Lee for dropping Michele’s song from his “She’s Gotta Have It” series. The Jasmine Brand was quick to report that her termination was strictly about job performance and nothing else. 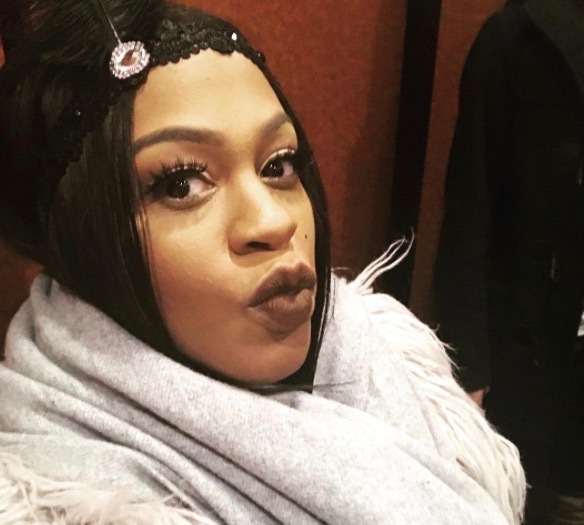 As the story continued to build Friday morning, Lil Mo took to IG again with the message “The Devil is a Liar! !” and a caption addressing the firing herself, suggesting that her termination was the result of a betrayal. Basically, somebody leaked one of her emails. Friday. NYC. FREE ADMISSION!! #celebrityfirstfriday #doncoqui !! See you 2/3.. Previous Article'The Real': Kandi Burruss Clapsback & Questions Phaedra's RHOA Storyline + Larenz Tate Stops By!